pushcartonlinellc has no other items for sale. 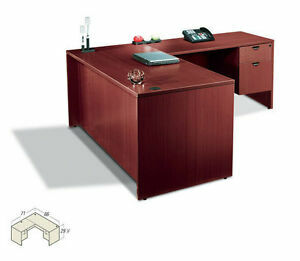 This desk is great for a large office as it is a large piece itself. It took a bit of time to put together, but if you follow the directions, it is not overly complicated. I have all the space I need to work from home and to also house my printer and personal laptop.